When I first began learning the ways of shamanism, more than thirty years ago, my Cherokee teacher used to speak to me about the similarities between Buddhism and Native American thinking. She was particularly fascinated by Tibetan Buddhism, and had traveled to Asia to meet with Tibetan teachers. I was intrigued, but not particularly interested in learning more. I was still trying to sort out my relationship to Native America. Adding Buddhism to the mix was quite simply beyond me. Recently, I’ve been reading Bringing Zen Home, by Paula Kane Robinson Arai. The book is a marvelous piece of ethnographic writing examining the ways a group of Japanese women use domestic zen practices as healing tools. If one only read the early sections on ritual, the book would be a worthy purchase. Reading Arai’s words reminded me of my first teacher. I imagine she would love the book, especially the author’s focus on gratitude, joy, kindness, and ritual as sources of connection to All That Is. She would also, I believe, deeply appreciate the discussion of Dogen, and his weaving together of form and formlessness. This week Nature gave expression to the form/formlessness paradox. A few days ago there were buds on the trees, then in a single day, as if arising from nothing, innumerable umbrels of furled leaf and flower replaced them. The umbrels, in turn, transformed into flowers in full bloom, then immature seeds. 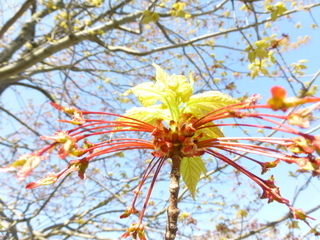 Now the trees have largely leafed out; the entire process seemed to occur overnight, a green, fiery, big bang. Engaging Nature’s seasonal changes, we are reminded that the progression of the year is a ritual, encompassing and illuminating the patterns of Self as we unfurl, transform, and perhaps, seek rebirth. Our very lives enact, and reenact, the great patterns of the natural world. I’ve also been reading Patrisia Gonzales’ Red Medicine: Traditional Indigenous Rites of Birthing and Healing. In this volume Gonzales reminds us that human birth is another expression of the paradox. We know how pregnancy happens, yet the miracle of personhood challenges any simple reductionism. In quite a few Native traditions reincarnation is a given. One just expects those who pass on to be reborn to the family line, often announcing their intent by appearing to their prospective mother in a dream. Life and death are doors through which we pass, nothing more than state changes. Yet we do not know, ultimately, where we come from or whither we go; that remains a Great Mystery, of which we are all, innately, a part. In their respective books Arai and Gonzales discuss ritual as serving to connect women to the Great Mystery, and in so doing, offering the possibility of an expanded perspective and healing. Their ideas echo those offered me by teachers in Native traditions from both North and South America, although rather than the term, “ritual”, my teachers often utilized “ceremony”. As a mature practitioner, I encourage those who come to me for healing to create meaningful rituals in their daily lives, to “practice.” I also strongly advocate for ceremony. Like ritual, ceremony seeks to make evident the sacred nature of our lives, to encourage gratitude, and to embody participants in the experience of self as cosmos. When rituals and cerem0ny work, we are transported into an awareness of being part of, and supported by, All That Is. Of the two, perhaps ceremony is more social, often engaging communities in support of those seeking healing. Reading the work of these thoughtful authors has reminded me of my first teacher’s wisdom, insight, and clarity. Looking back those many years, I now see her efforts to broaden my perception in a new, more favorable light. I am grateful for her kindness and teachings. 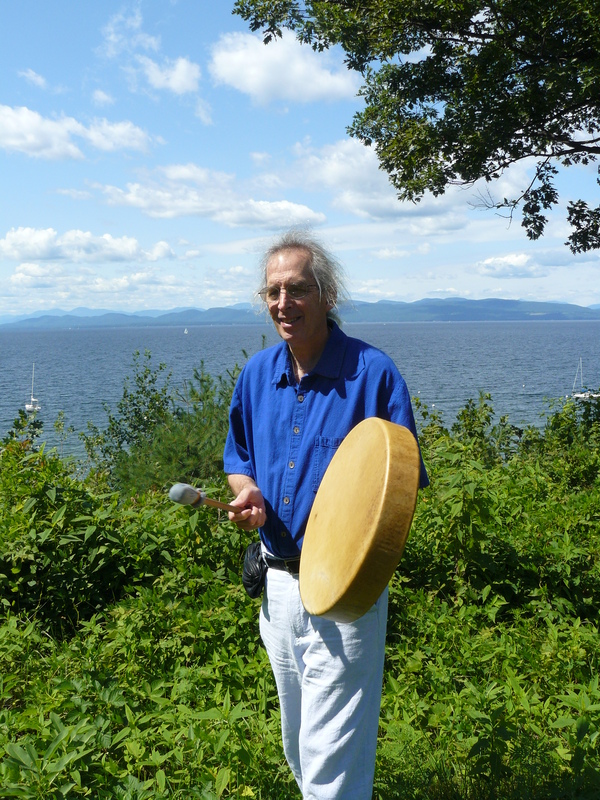 MICHAEL WATSON M.A., Ph.D., LCMHC (Dreaming the World) ~ is a contributing editor to Into the Bardo, an essayist and a practitioner of the Shamanic arts, psychotherapist, educator and artist of Native American and European descent. He lives and works in Burlington, Vermont, where he teaches in undergraduate and graduate programs at Burlington College,. He was once Dean of Students there. Recently Michael has been teaching in India and Hong Kong. His experiences are documented on his blog. In childhood he had polio, an event that taught him much about challenge, struggle, isolation, and healing. Hi Michael: My daily ritual while taking a shower in the morning — beginning with gratitude for the new day, then doing my metta practice. It has become a sacred thing that allows me to start the day embracing the great mystery of life. Rob, Days filled with focused rituals do seem to strengthen our souls. What seems like work, even drudgery, some days is liberating on others. I guess we have to stretch and exercise our wings in order to fly. I have daily rituals always. They may change, but the ritual, the sacred connection never. This makes every day a day of spirit. It has become second nature during my many years on the earth. Grace. Thank you. Hi Gretchen. I find the rituals of the day, even feeding the cat, deeply satisfying and meaningful. I imagine the trick is to recognize the repetitive tasks of life as opportunities for gratitude and connection with All That Is. Sometimes I manage this; a sense of blessing always follows. Oh yes….a blessing. A blessing to be only in that moment. So sweet. There is no review of Bringing Zen Home by Paula Kane Robinson Arai on Amazon. Thank you for your review. Paula, I am afraid my review is inadequate to the book. I’ve been reading a library copy, and we are eagerly awaiting our purchased copy. A truly lovely book.